Congratulations! You have bought a balance bike for your child and now want some tips to make sure your children have a safe ride. You have made a really wise decision in choosing a balance bike instead of a tricycle or a bike with training wheels. It has been observed that children who start off on a balance bike often do not need training wheels later on and can get on a pedal bike and start cycling easily. This is because a balance bike teaches them the basic skill of balancing, which is what cycling is all about anyway. Learning to pedal, brake, steer, etc., always come naturally once the balance is attained. Balance bikes teach children a lot more than just how to balance. They also help to develop coordination, steering control, and brake control (even if the bike has no brakes, they will still hone their reflexes using their legs as brakes). It also increases their confidence. It helps them feel that they are also grown up when they watch their older siblings or older friends cycling on pedal bikes. Balance bikes are also easier to carry around everywhere, unlike tricycles. They can easily be carried by hand for a short stroll to the park across the street or they could also be transported by car to a picnic. 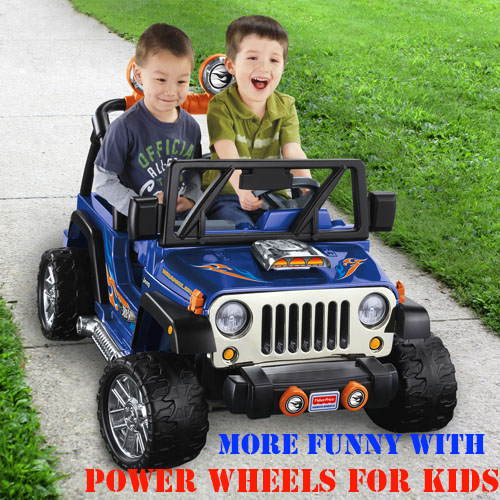 It gives children the much needed exercise and helps them strengthen their leg muscles and reflexes. Balance bikes are by design safer and more child friendly than other bikes. They do not have any protruding nuts and bolts or spokes that can poke the child if they fall. Your kids are much less likely to tip over and fall, while using a balance bike. Most balance bikes also come with limited steering angles, which make it easier for children to go in a specified direction and not oversteer and fall to the side. There are still some tips that can come in handy for you when you start your child off on a balance bike. After all, all parents want their children to be as safe and as comfortable as possible. So here are some tips that will help you make the journey to cycling with a balance bike as smooth and enjoyable as you can for your child. Start your child on a daily fixed routine on the balance bike. This will help them get accustomed to the bike as well as help them to practice every day. Give your child lots of opportunities to bike and try to vary the places so they don’t get bored. You could take them to the park, visit your neighbors, the grocery store, around the corner, etc., so as to give them a variety of locations to practice at. Your child will first start by striding, which is using their feet to power them along. This is the first step. They will soon learn that they can lift their feet off the ground and the bike will still move along. This is the stage of gliding. Once they are able to glide along for a longer period of time, and for a couple of months, they may be ready for a pedal bike. 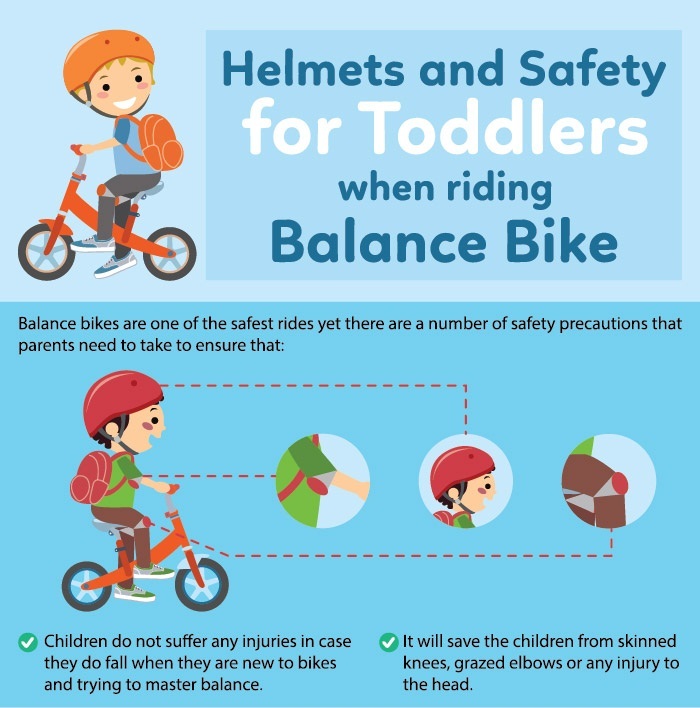 Make sure your child wears a helmet as well as padding for knees and elbows to help prevent grazed knees and elbows or any head injuries during an accident. Helmets should not move around the head. The measurement for helmets should be taken above the eyebrow and keeping one inch space above the ear. Protect your child’s feet from any bruises or grazes by avoiding open-toe shoes, flip flops, or sandals. The safest shoes would be sports shoes or closed-toe shoes. Adjust the height of the saddle so that your child’s feet are flat on the floor and a little bent at the knees. The optimal saddle height is 1 inch less than the inseam of your child. Adjust the handlebar to the saddle height so that they correspond with each other. A saddle height that is low should have a handlebar that is low and vice versa. It is much better to support the child by holding on to their shirt when they start off, rather than holding onto the bike. This way, they get a much better and more accurate feel of what is safe and what is not. Start off by using the balance bikes on pavements or roads that are less gravelly and have some grass on either side to help cushion a fall, if anything happens. Dirt paths are also perfect for the first ride, as are driveways, forest or wooded trails, sidewalks, etc. Make sure they have adult supervision at all times. Get a balance bike that has good pneumatic tires so as to help give your child a ride that’s smoother and more comfortable. It is also more durable and less likely to puncture quickly.